The Photography of airbrush artist J.w Baker. 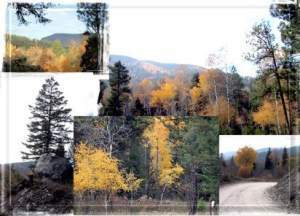 Beautiful pictures of autumn leaves, Montana's beautiful mountains, and some with deer in peaceful settings. Images copyright, J.w Baker. Visit his site. J.w will custom paint your favorite design on jackets or canvas! Music- "Desperado" by The Eagles. A larger version of 14 images of this same theme exists as shareware. Screensaver copyright ART-TLC ©. Best viewed with 800x600 settings. (Make note of the screensaver name and where you are downloading the file while doing this). Once downloaded and unzipped with WINZIP , click onto "montana1.exe" and this will install your screensaver into windows system automatically. To uninstall the screensaver, delete "montana1.scr" from windows>system file. CUSTOM SCREENSAVERS: I will make custom screensavers of your photos in a slide show starting at $25 for 10 slides and $10 for every 5 photos added. Animated screensavers of your choice start at $35. Music of your choice is included.